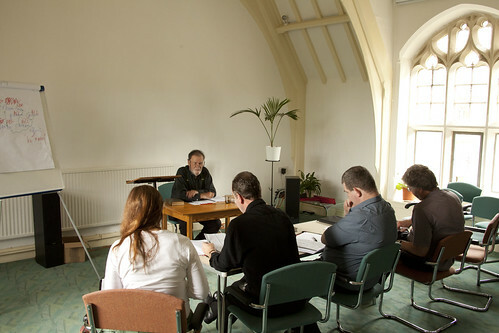 The Latin Mass Society's third intensive, residential Latin Course was led by Fr John Hunwicke of the Ordinariate (above), with the assistance of Br Richard Bailey of the Manchester Oratory (below). 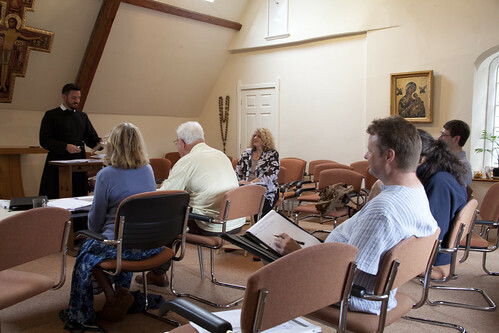 It ran alongside the St Catherine's Trust Summer School for children, and catered for beginners and the more advanced. 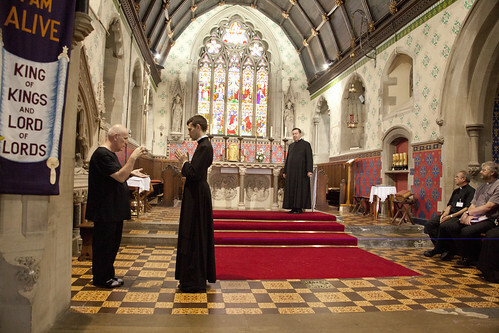 Fr Hunwicke as deacon giving the Kiss of Peace to Fr Regan as subdeacon. It was particularly pleasing that we had no fewer than six priests signed up on the course, plus some seminarians. 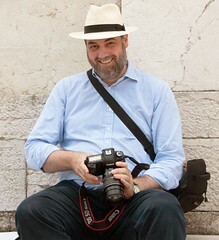 A number of them were convert Anglican clergy. 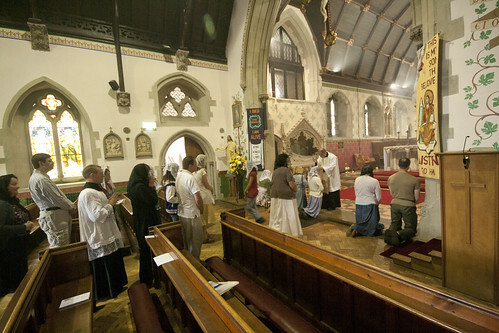 We know from the Latin Mass Society's Priest Training Conferences that Latin is the biggest barrier to many priests making use of the Extraordinary Form, and the clergy and seminarians paid only half price for the course. 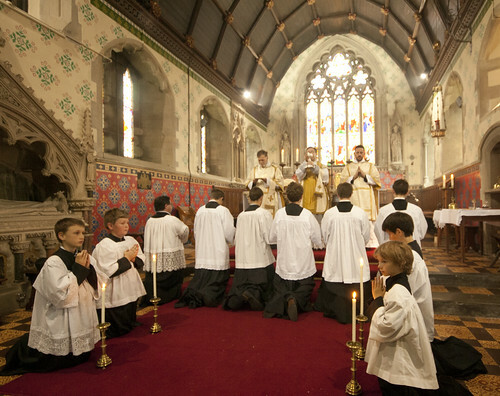 The full price is no more than the cost: the Latin Mass Society is more than happy to subsidise the clergy who have been failed, sadly, by seminaries over the years. It was also a very natural opportunity for some of the priests not only to observe, at close quarters, byut also to practice the roles at Solemn Mass. 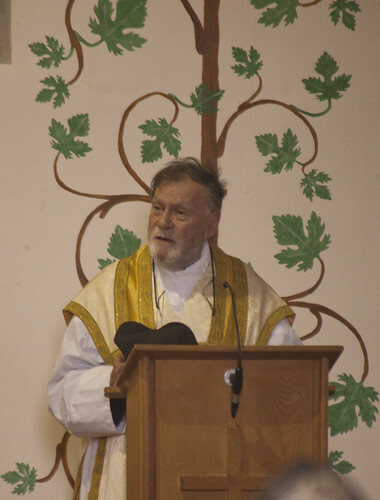 This (above and below) is a practice for Fr Thomas Regan OSB, who has long said the Traditional Mass, but like most priests has had limited opportunities to be part of Solemn Mass. 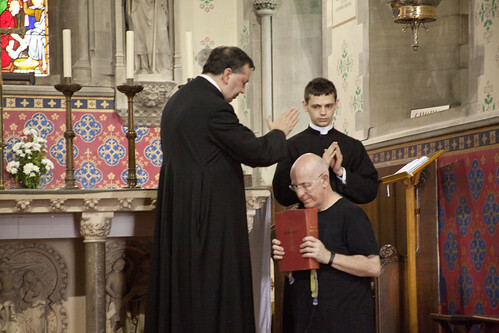 Fr Southwell, the Summer School chaplain, is assisted by Thomas O'Sullivan, a seminarian of the Fraternity of St Peter on the staff of the Summer School. I've already mentioned the newly ordained priest on the course who gave first blessings. All the priests of course were able to say private Masses before breakfast in whatever Form they wished, thanks to the hospitality of the Vocationist Fathers who look after the parish church of St Winifriede in Holywell. We'll certainly do this course again, it is clearly meeting a need. We will also continue to press those responsible for our seminaries to ensure that everyone put forward for ordination has received the education in Latin which Canon Law requires: a 'thorough familiarity' with it. 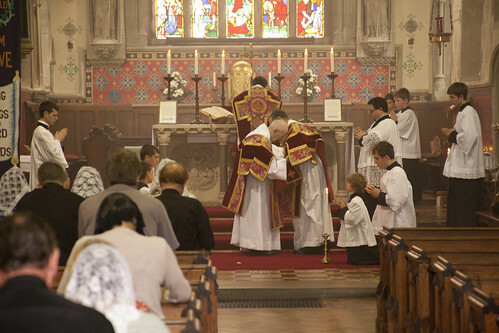 Solemn Mass with Fr Hunwicke as deacon and Br Richard Bailey as subdeacon.